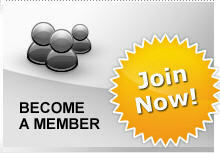 The ATRA Mid Atlantic Chapter welcomes you to our website. Our chapter is affiliated with ATRA — the Automatic Transmission Rebuilders Association. ATRA is an international trade association for the professional automatic transmission repair industry. The Midwest Chapter offers its members opportunities they could not realize on a National or International basis. The primary purpose of our chapter is to engage in local activities that directly affect and enhance the transmission rebuilding industry. The ATRA Board of Directors has voted to allow ATRA Technical Subscribers the use of the ATRA Member logo in their advertising. They are also listed in the online Member directory (Shop Finder). In the directory, Rebuilder Members and Technical Subscribers are clearly noted. Rebuilder member may wish to use the alternate logo which designates them as an “ Authorized Warranty Service Center". All available logos are downloadable in the logo section of this web site.